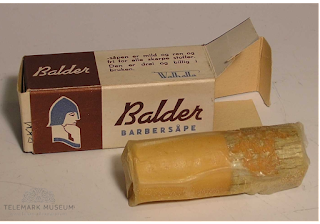 So I was poking around on the internet again, and stumbled over a reference to "Balder Barbersåpe" - ie: the shaving soap of the Norse god of light, joy, purity and the summer sun, son of Odin (Wotan) and Frigg (Frige) - and off course I had to dig more. So spooling back to 1858, a 19 year old boy travelled from Kristiansand (south coast of Norway) to Schleswig (then southern Denmark, now northern Germany and further on to Neuwild by the Rhine before wrapping up in Holland.. his mission? Learn to make soap! As for the selection of goods, it was fairly diverse; candles made from tallow and wax, colognes, hair oils, some incense, so called "green soap" (a soft soap made from potash and fats) and - most interesting for us - shaving soap. "Balder - the soap is mild and clean and free of all harsh chemicals. It's long lasting and cheap to use." Calling your shaving soap for Balder makes a lot of sense when your factory is Valhalla. The package in the image is from the 30's, as can be guessed from the art and colour scheme. As for when the factory closed / was sold / changed names I don't know.. last solid reference I got from a quick search is from 1953, when the factory was almost a century old. There is a current company with the same name in Norway, but it's only a couple of years old and don't make soaps at all. 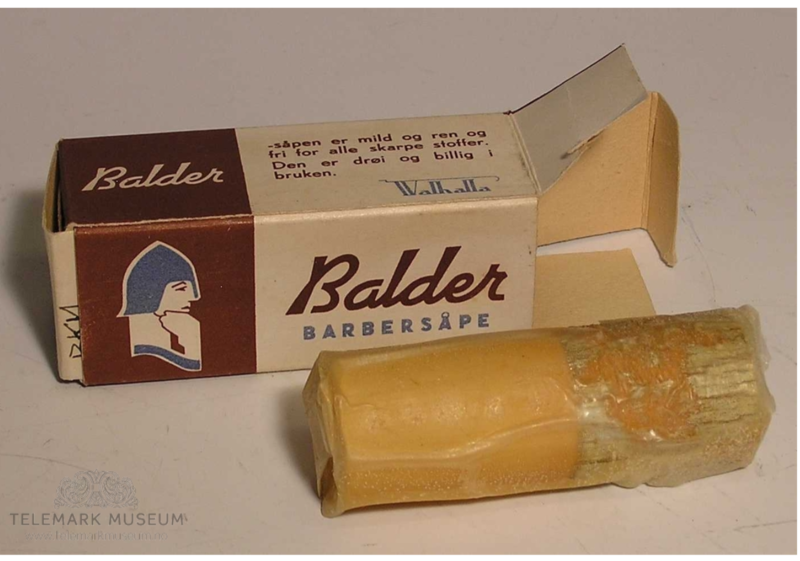 Your search of Nordic shaving history is very interesting...…..